The bedsit includes the fridge, electric cooker, fitted kitchen units, waredrobe, bed, chair, radiator, curtains. Shared toilet and shower facilities. Access to washing machine/utility room. 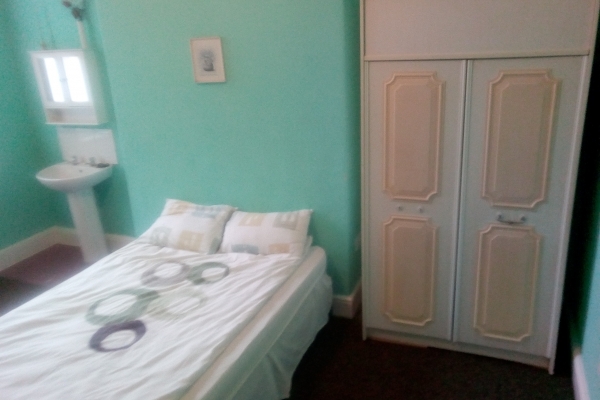 The double room includes the bed, wardrobe, radiator, curtains. House has access to the back garden. New carpets in a room. The bedsit includes the fridge, cooker, fitted kitchen units, radiator, curtains, wardrobe ,table, chair Access to washing machine /utility room. 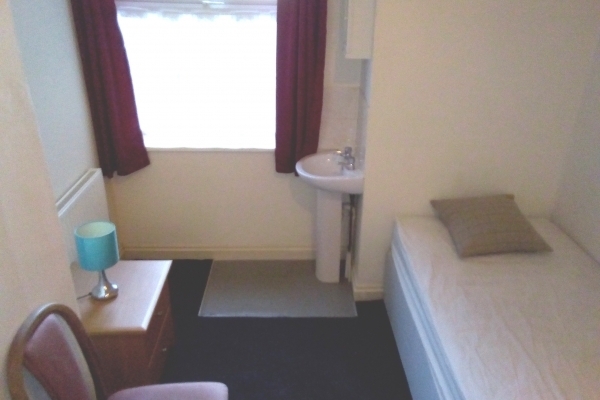 The spacious double room includes the bed, wardrobe, chest of drawers, radiator, curtains. Can be rent to one or two people. This bedsit includes the fridge, cooker, fitted units, radiator, curtains, bed, set of drowers, table with chair, built-in wardrobe. Shared toilet and shower facilities. Access to washing machine/utility room. The recently decorated room includes the radiator, curtains and wardrobe. Own shower with toilet and shared kitchen facilities. The kitchen includes fridge/freezer x 2, cooker x2, double sink x 2 and washing machine. Access to back yard. The bedsit includes the following, Fridge, Cooker, Fitted units, Radiator, Curtains, Wardrobe, access to washing machine. The access to a rear locked car park a subject to negotiation with the landlord. 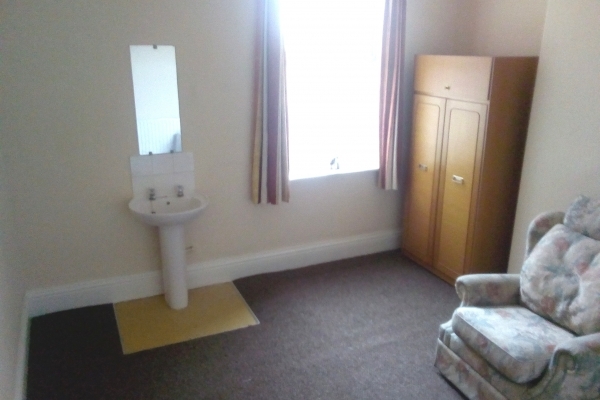 Good size bedsit includes the following: bed, set of drowers, sink, chair, radiator, curtains, wardrobe, access to back garden. The bedsit includes the fridge, cooker, fitted kitchen units, radiator, curtains, wardrobe, chair, chest of drawers Shared toilet and shower facilities. First floor one bedroom-flat is part-furnished. It has got central heating, double-glazed windows, curtains, a shower and a toilet unit. There is a separate kitchen, bedroom and specious living room. This self-contained flat includes living room with open-plan kitchen, medium size bedroom and separate bathroom. Kitchen includes: the fridge, cooker, fitted units,sink. Washing machine is shared with other tenants. No broadband connection, and no TV licence. The one bedroom flat is part-furnished. It has got central heating, double-glazed windows, curtains, bathroom with bathtub and a toilet unit. There is a separate kitchen, lounge, spacious bedroom and back yard.